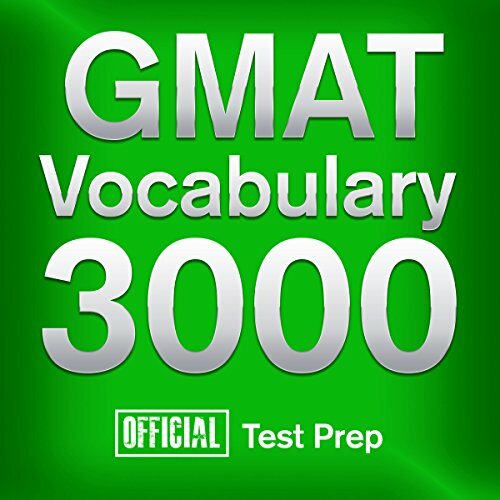 Introducing GMAT Vocabulary 3000: The most comprehensive audio course for GMAT Vocabulary on the market. Learn how to master proper spelling, pronunciation, definitions, synonyms/antonyms through the use of these unique audio exercises. There are three levels (Easy, Medium & Difficult) that each consist of 10 powerful exercises covering 100 words each. You'll discover high-frequency words that have appeared in previous GMAT exams, increasing your chance for better test results! All audio is carefully narrated by two professional voiceover artists for easy listening and quick learning. If you're a college student preparing for the GMAT Vocabulary, and want to get on the "fast track" to better results, then this audio course is for you! This may not be the only thing you'll need to beat the GMAT and score high, but it definitely helps. I used to listen to them on my half hour commute to and from work and probably added a few hundred solid words to my vocabulary. What would have made Official GMAT Vocabulary 3000 better? The words covered in this book do not help you for the GMAT. There is no specific vocab section of the GMAT. The verbal section of the test is designed such that even if you don't understand a big word, you can still understand it from the context and aren't penalized. This audiobook is 24 hours long. You are much better off spending those 24 hours practicing questions. Save the limited space left in your brain for things that will actually benefit you on the test. Has Official GMAT Vocabulary 3000 turned you off from other books in this genre? I learned a few good words, but it didn't help with my GMAT preparation which was why I purchased the book.